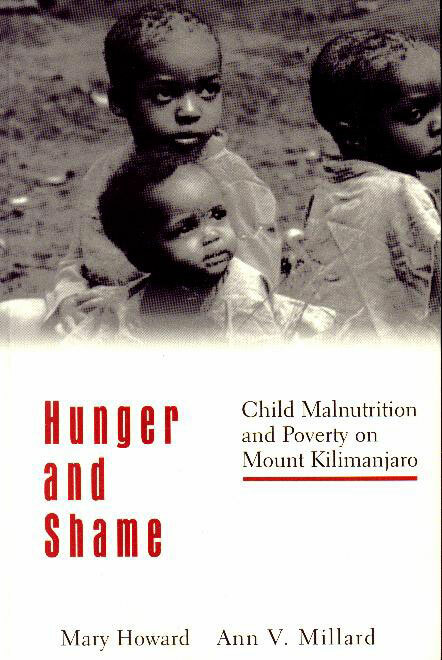 is a passionate account of child malnutrition among a relatively wealthy populace, the Chagga of Mount Kilimanjaro, Tanzania. Views of family members, health workers, and government officials provide insights into the complex of ideas, institutions, and human fallibility that sustain malnutrition. Discussing the moral and practical dilemmas posed by the presence of malnourished children in the community, the authors explore the shame associated with child hunger in relation to social organization, colonial history, and the global economy. Their discussions challenge the reader to ask fundamental questions concerning ethics, the politics of poverty, and shame and social relations. This is the single most important book on African poverty you are likely to read. Ok, it doesn't compare with the scope of Cliffe's The African Poor. But it is very powerfully written and extremely insightful. Those familiar with participatory assessments will know they often find that respondents blame the poor for their plight (not surprising, we do the same in developed countries) - but these results are usually ignored by the researchers. This book demonstrates how important this finding is - not because the poor ARE to blame for their poverty, but because the stigma attached to being poor creates a social poverty trap.